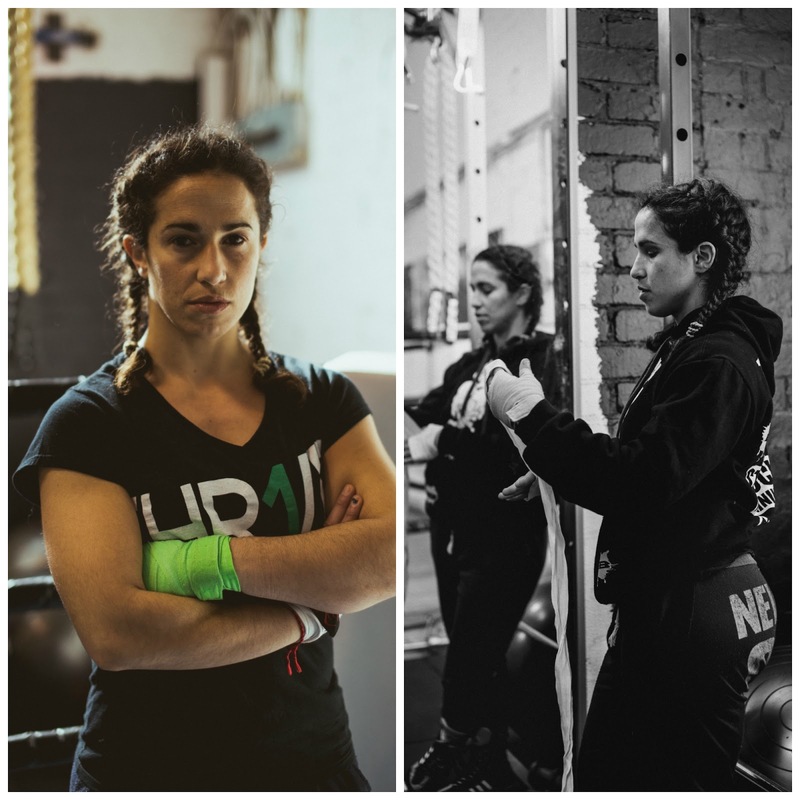 Coincidences can sometimes stop you in your tracks, and that’s how Australian film-maker Jemma van Loenen came to be working on a documentary about boxer Bianca ‘Bam Bam’ Elmir. We spoke by email in December when Jemma put me in touch with Bianca for an interview on her plans to win Australia’s first gold at the World Championships this year. The two are based hundreds of kilometres apart in Canberra (Bianca) and Melbourne (Jemma). Jemma said: ‘I first met Bianca a little over two years ago. At the time I was researching a fictional story that I wanted to do – a coming of age story on a 15 year old Muslim girl who takes up boxing to defend herself from bullying at school. So from the imagination of a film-maker came a meeting which made Jemma realise this real-life story had something different to offer. ‘I wanted to tell Bianca’s story, because it is different from the mainstream. ‘There are many textures and levels to her, and whilst there are a lot of labels put on her, I was really keen to go beneath that, and pull that apart and find out who Bianca really says she is,’ Jemma said. It’s not too hard to make a list of boxing films or documentaries, but it’s not easy to find women’s boxing stories told in any country. Jemma spotted that gap, and something more. She said: ‘I also want to tell a story that shows an inspirational and strong woman, who’s from a non-Anglo background. So many of our Western screens are filled with male-centric Anglo-cised stories. So is there still room for boxing? Definitely it seems. Jemma and her co-workers at Lollapollooza Films having been working with Bianca for over a year, and plan to keep filming until the AIBA Championhips in May. BAM BAM THE MOVIE – TEASER from Jemma van Loenen on Vimeo.